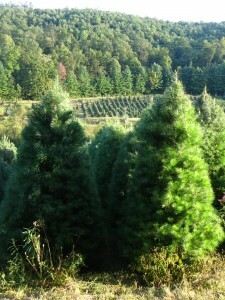 White Pine have incredibly soft, fluffy needles that make them very inviting trees. These needles also have the excellent habit of staying on the trees for a long time after they are cut. Some 80-90% of the live needles remain on a well-cared-for tree after a month or more. However, the branches are on the flimsy side. Customers with even moderately heavy ornaments or large lights may want to consider a different species. Some also dislike the dense foliage of the white pine, which leaves little room for sizeable ornaments to hang freely. 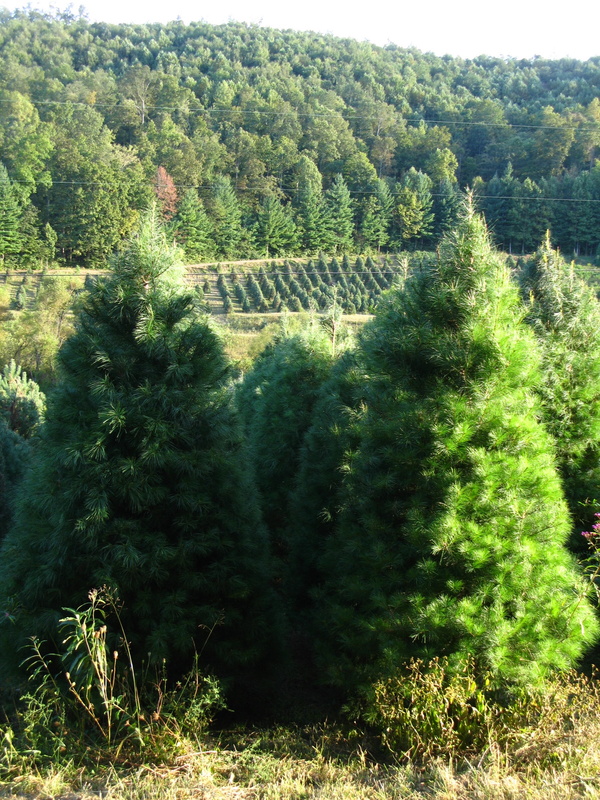 The mostly absent aroma of White Pines is a benefit to those who suffer from allergies to pine resin. Strange fact: large and comely White Pine were highly sought after for use as ship masts in colonial times. Promising specimens were marked at an early age to be reserved for the British royal navy, an activity some colonists tacked on to the score of oppressions they felt the British crown imposed upon them.